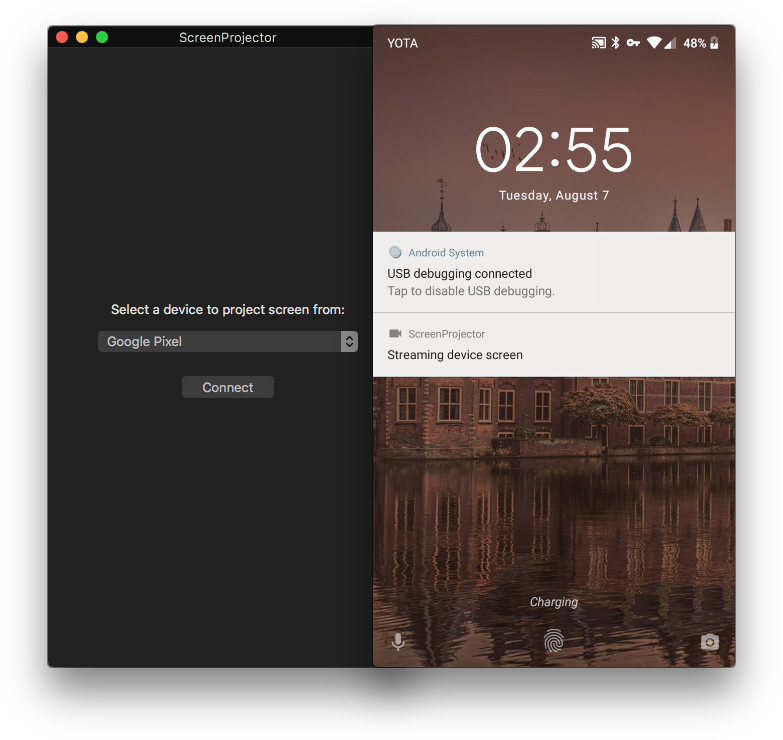 You plug in your Android device, you select it in the list, you click the button, and you see its screen live on your computer. As simple as that. On some devices you might need to manually allow the access to screen capture because the adb command to grant that permission doesn't work on them. This app requires that you have Android SDK installed as it uses adb for communication.